Sukriti speaks less about herself more about her gurus. Gratitude pours from her being. So delicately, so naturally. She was born lucky, she says. Gifted with a voice. She never needed to work on that. What she needed to work on was the art, the fine tuning of the sound. Blending it with the right depth, the right throw. So it reaches. Another. Lubricates the heart. Touches the soul. Thats what music is about, right? To take you on a journey, into a dimension, you don’t visit every day. For that, first the musician the artist herself needs to be home in that dimension. That, is sadhana. 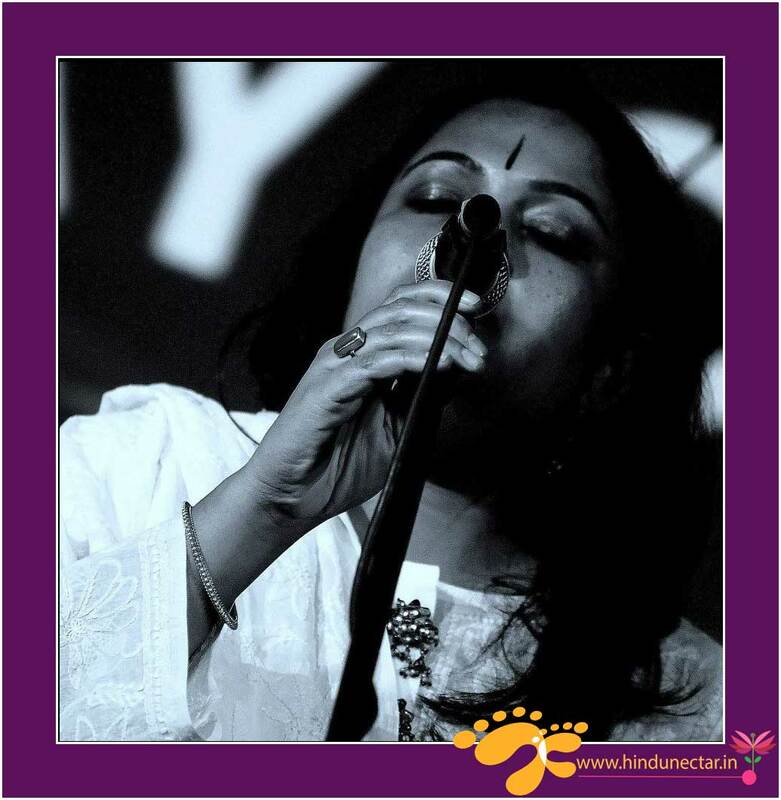 When she was still in school, Sukriti used to be woken by her mother – a deep music lover – to do riyaaz. Every morning at 4:30. Then in the evening, two hours. Allowing the sound to move through her body, playing with it, has given Sukriti a grace that is hard to miss. It is the beauty of the feminine. With a dash of the divine. A blend, not easy to execute in life, everyday! Hence, the Sadhana. Sukriti does her riaaz every morning, after her hubby n kid go from home, after the space is cleaned. Two hours. In the morning. Two hours in the evening. Less than that will not do. The guru she has been training under is Pt Madhup Mudgal. “From him i am learning the art, of fine-tuning the sur, so it reaches the heart,” she speaks, her voice filling up with juices of an ecstatic devotion and gratitude towards a guru that only a shishya, a disciple can know. In India, knowledge is meant for absorption. To sit by the side of the guru, be open, and allow, the transmission, the marination, to happen. To be a shishya, is to be in a state of the feminine. Not grab knowledge. But absorb. Like Meera says to the temple priest who challenges her – a woman’s – entry into Krishna’s temple, “O Pandit, Krishna is the only man. We are all women, his gopis.” A bhakta sees the entire existence as the masculine, in which her being dances. And, some day, when the sur, lubricates the heart, touches the soul ? She dissolves.